Businesses engaged in sales will definitely rely on their sales team for profits. Needless to say, if the team fails to close a deal, the business suffers. Thus, it is imperative that your salespeople be equipped with a myriad of skills that will enable them to confidently face clients and close the deal. These training can be had in different ways and in different settings, one of which is by availing of course in sales training online. The specific topics to be covered may vary from one training school to another, but they will most likely revolve around these four areas. Literacy training basically revolves around the development of different basic skills that the employee needs in order to perform their jobs well. The course outline of this training program will most likely include reading, writing, numeracy and other basic skills. However, they can also include basic training in technology and communications. These can be particularly helpful in developing your employees’ ability to gather data more accurately, fill out forms more efficiently, and many other menial yet crucial tasks that can improve their sales. 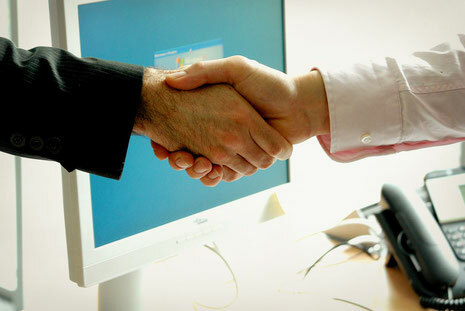 Good interpersonal skills are necessary in order to maintain solid working relationships within the business. The ability to get along well with other employees provides many benefits for both the individual and the company which includes minimising workplace conflicts and maximising positive communication. In addition, exceptional interpersonal skills can influence other employees and members of the organisation to be more positive, thus increasing work morale and productivity. Needless to say, this type of training will also help your employees when it comes to dealing with customers and clients, helping them become effective communicators and presenters. Businesses will always make use of some kind of technology in their day to day operations – especially with regards to computers and software. However, not many employees are knowledgeable when it comes to using these technologies, which is where technology training comes in. Giving your employees this kind of training will enable them to use technology to their advantage, thereby allowing them to complete more tasks in lesser time. This follows that the knowledge they gained from the training will not only expand their capabilities, but also boost their self-esteem and confidence – two qualities which are crucial to a successful salesperson. Problems are part of any business regardless of its size or industry. At one point or another, you will not be there to assist your employees when an issue arises. This is why it is important for employees to be trained in problem-solving. With this kind of training, your employees will be able to make intelligent split-second decisions and avert disastrous consequences like losing a client or failing to close a deal. In addition, employees will be able to collaborate with others and offer creative solutions that will address any issue that the business or the client may have. Sales courses online is an effective way of training your employees in all of the above mentioned skills, mainly because of the flexibility that they offer. If you believe your sales team is in need of such training, feel free to contact us via our contact page or get in touch with us at 02 9700 9333 – we can help improve your employees so they can help improve your business.